The Doctor Who universe is about to get even more diverse. 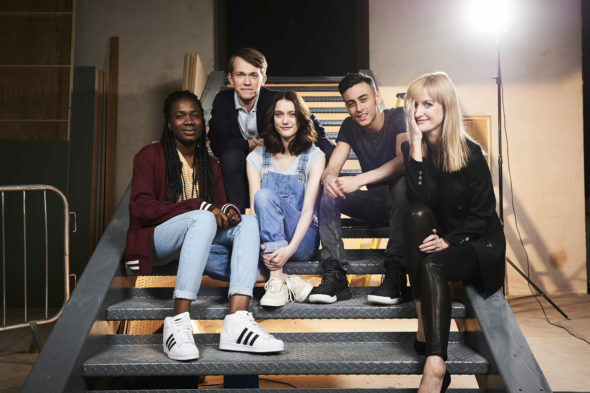 According to the Radio Times, one of the leads from the BBC’s spin-off series Class will be an LGBT character. From Patrick Ness, the teen drama will take place at the notable Coal Hill School featured in Doctor Who. The cast includes Greg Austin, Fady Elsayed, Sophie Hopkins and Vivian Oparah. Been asked if Class will have LGBT representation in it. Will a lead character with a boyfriend who he kisses & sleeps with & loves do? Class is expected to premiere sometime later this year on BBC America. What do you think? Are you a Doctor Who fan? Will you watch Class? Do you think there should be more LGBT representation on TV? More about: BBC America TV shows: canceled or renewed?, Class, Class: canceled or renewed? Class: Cancelled or Renewed for Season Two on BBC America? Doctor Who: Matt Strevens to Executive Produce Season 11?